The new talent TV competition show on ABC, Boy Band, started out with 30 young men (age 14 to 24). Each boy had the opportunity to sing in front of the three judges, three top professionals in the music industry — music producer Timbaland, “Baby Spice” Emma Bunton of Spice Girls, and Nick Carter of Backstreet Boys. And of course they sang in front of, and sometimes serenaded host Rita Ora. Now it’s down to the final eight contestants! 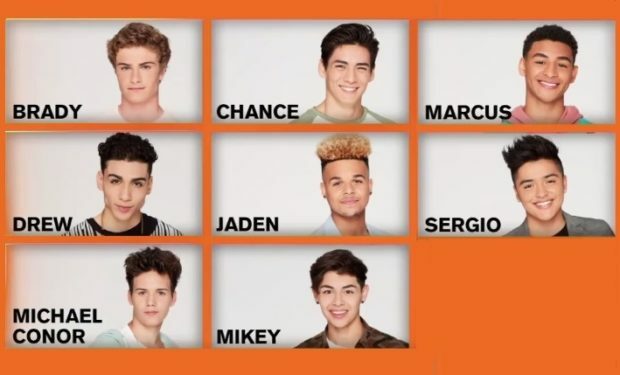 After each of the eight boys perform their solo numbers during the semifinal episode (August 17), for the first time this season viewers at home get to vote (until 11:59pm EDT). Just go to abc.com/boyband to use the Boy Band Live app. The five singers who get the most votes will form the next big Boy Band. Their names will be revealed on the Boy Band series finale on Thursday, August 24 (8pm on ABC). The Top 8 of #BoyBand! All the guys perform solo for the first time LIVE Thursday 8|7c! Who Is Jackie Siegel, The Queen of Versailles on ‘Flipping Out’?